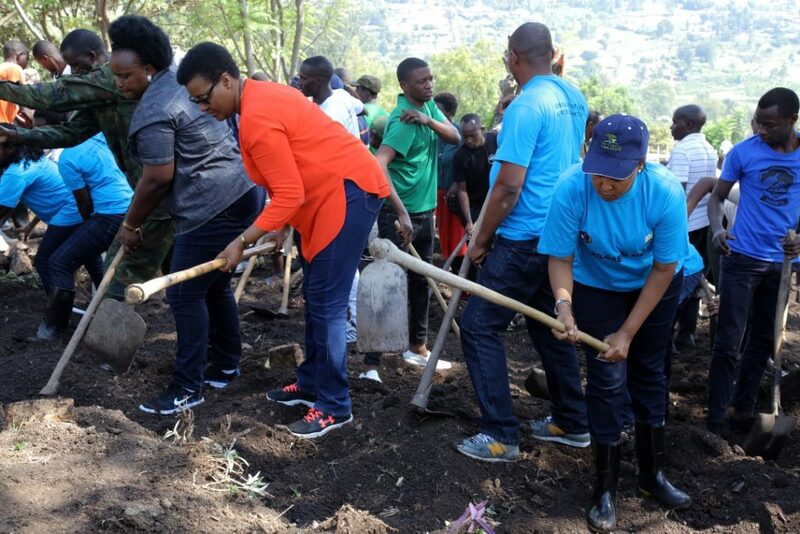 Yesterday on 30th, March, 2019 Hon Donatille Mukabalisa who is the Speaker of the Rwandan Parliament attended the monthly Umuganda community work that took place in Muyira Sector, Nyanza district. 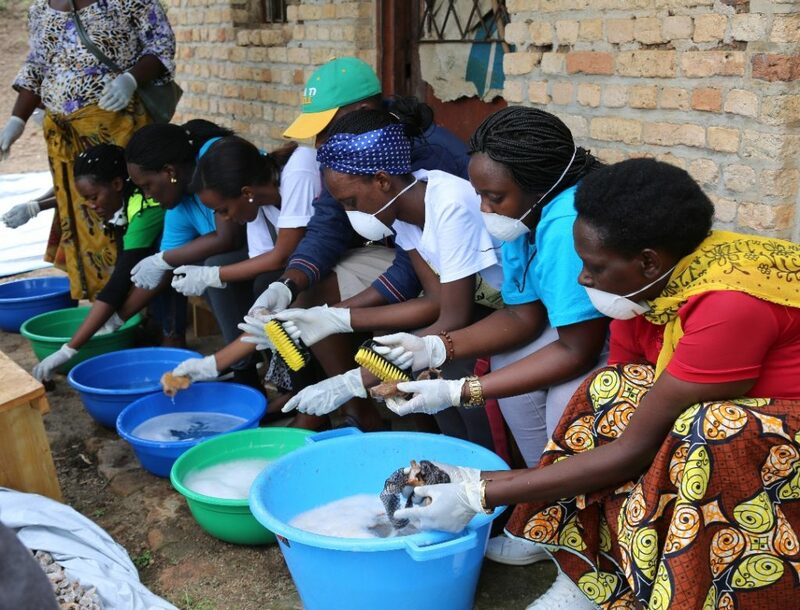 This Umuganda was also attended by the AERG-GAERG crew members who are undertaking a monthly period called AERG-GAERG Week that is set up to help needy 1994 genocide survivors in different aspects. Hon Mukabalisa who was the guest of honor thanked the efforts of the AERG-GAERG Week crew members to come in help for most needy genocide survivors and clean the Nyamirama genocide memorial. 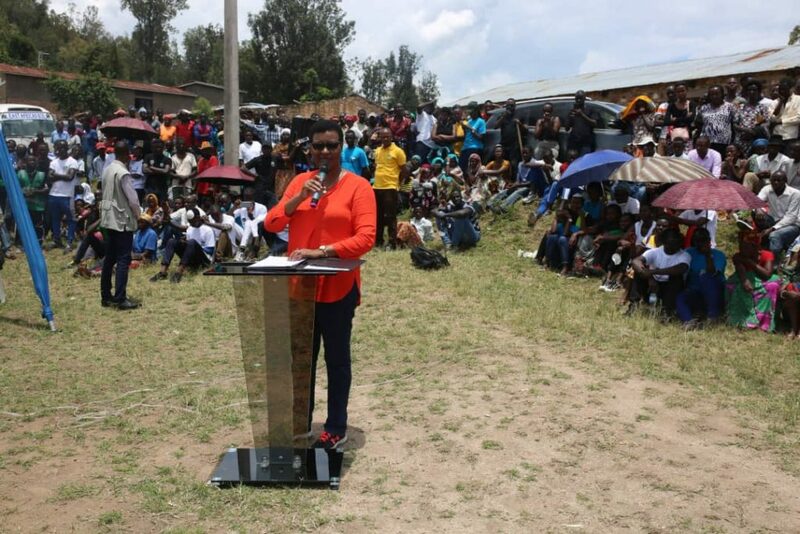 She called upon young people from across Rwanda to be attending all scheduled agenda during the 25th genocide memorial period that will start on 7th, April, 2019. For her, attending these events helps them to learn more on the recent political history that led to the 1994 genocide against the Tutsi and how Rwandans strived to overcome its consequences. The Vice Coordinator of AERG Simon Pierre Kamanzi who spoke on behalf of the Coordinator of AERG at the national level said that the AERG-GAERG Week is an annual activity that aims at helping needy 1994 genocide survivors. “This is one of our missions to help 1994 genocide survivors. We provide them with cows to improve their livelihoods, we build or rehabilitate house, among other activities…” he said. 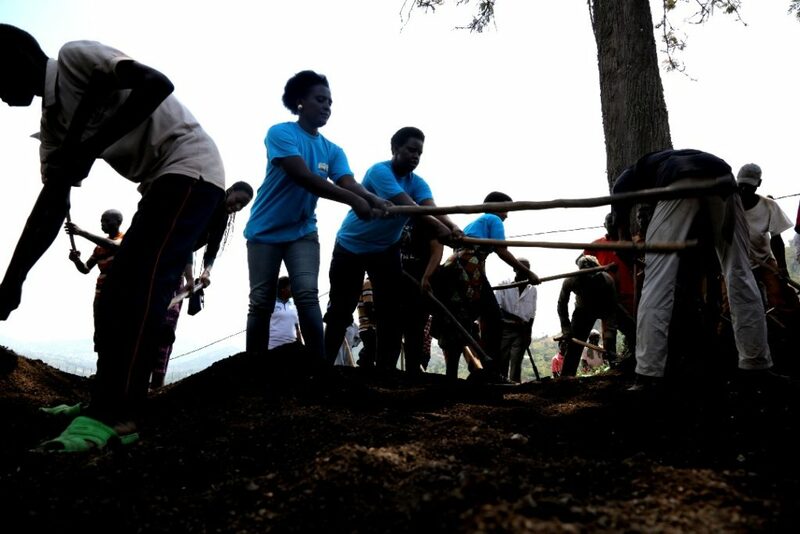 Participants in the Umuganda Community work that took place yesterday cleaned remains of genocide victims for a further decent burial that will take place few days ahead. Kamanzi ended his speech calling upon all AERG members across the country to fully participate in all events scheduled to take place during the 25th genocide commemoration period. The event was also attended by other dignitaries from the South Province including Mayor of Nyanza district Erasme Ntazinda, Governor of South Province Emmanuel Gasana, among others.